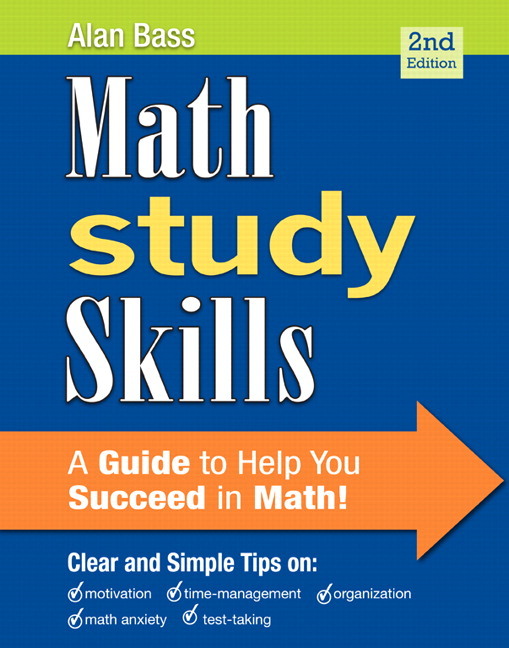 Math Study Skills outlines good study habits and provides students with study strategies and tips to improve in areas such as time management, organization, and test-taking skills. 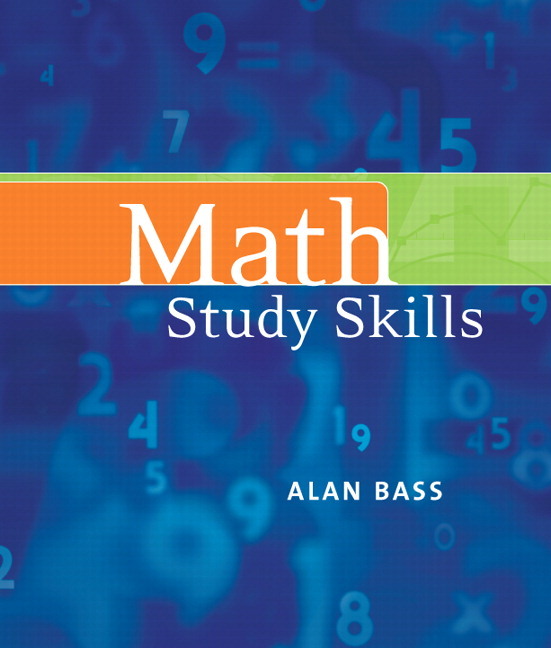 With a friendly and relatable voice, Alan Bass addresses the misgivings and challenges many students face in a math class, and offers techniques to improve their study skills, as well as opportunities to practice and assess these techniques. This math study skills workbook is short enough to be used as a supplement in a math course, but can also be used as a main text in a study skills class. The focus on relevance and results gives students tangible skills and techniques on topics they need to be successful in math. A concerted effort to keep the workbook short and concise has been made, making it easy to incorporate as a supplement to a math course. But it also contains enough content that it could be used as a main text in a study skills course. The casual, engaging writing style is friendly and honest, putting students at ease while discussing topics that might otherwise cause them anxiety. Exercises have been included to create an interactive environment for students to immediately apply the skills they are learning, and discover which techniques will be most beneficial to them. An online module based on this study skills manual can now be incorporated into custom MyMathLab® courses. 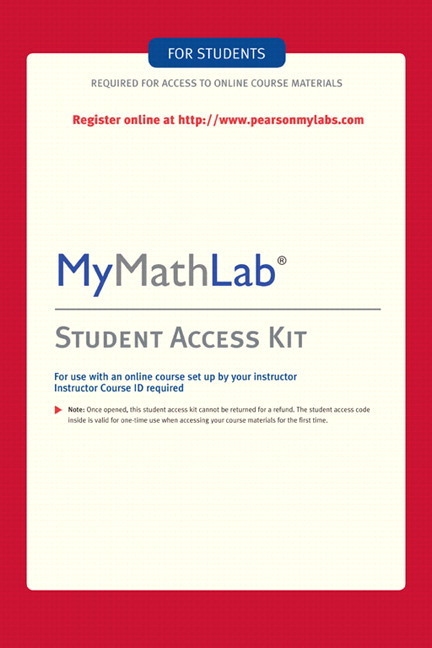 It includes an eBook of Math Study Skills, Second Edition, plus videos and assignable study skills material in MyMathLab. A new chapter on Motivation and Achieving Goals has been added to encourage students to consider why they are in their math course and what they hope to get out of their education. The new chapter also includes helpful tips on setting realistic goals and staying focused. Exercises are now numbered, making them more convenient to assign. Additional exercises have also been created. The streamlined writing reduces wordiness and makes this book even friendlier for students. 2. What Makes Math Different?